In the digital age, data is the new oil. It is a source of wealth for any business, but this is especially true if it can be utilized properly through analytics. 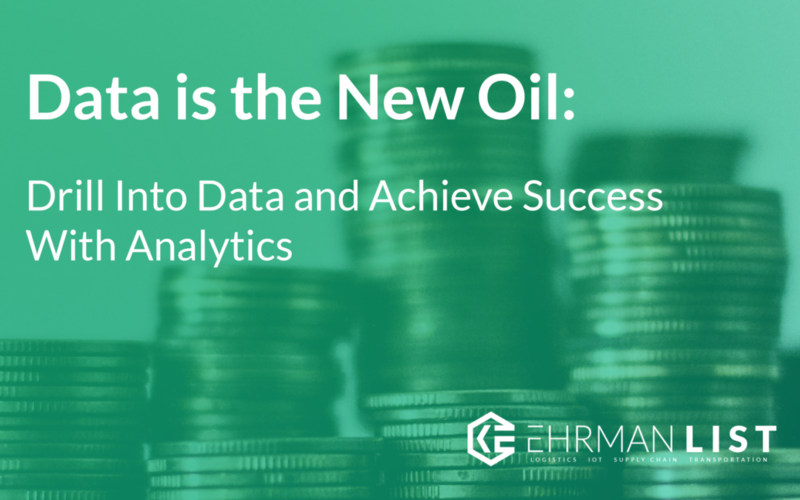 If Data is the new oil, then analytics is the refining process that produces your valuable end results: relevant information and actionable plans for improvement. 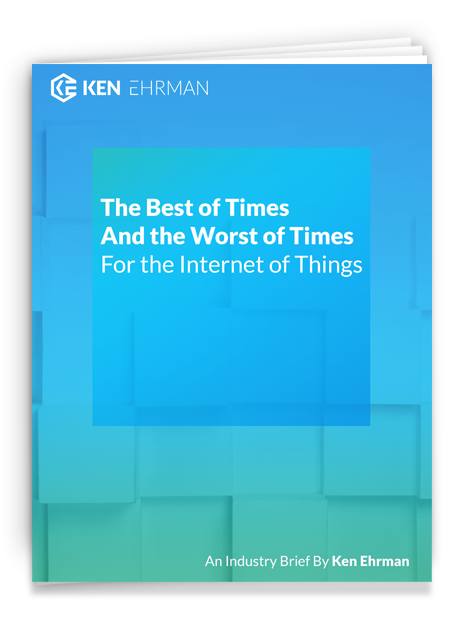 Most IoT devices collect real-time data. This means that IoT devices will give you raw information about whether a door is open or closed, if a forklift is idle or in use, where an asset is located at a given time, and more. In the raw, this data can only be used for real-time adjustments. To truly put this information to use, you need to take a deep breath and dive into analytics to interpret that data and roll out the best solutions. Through the process of data mining—the practice of examining large amounts of information to generate new information—you can draw conclusions about your business practices in relation to various factors that impact your company. Once you do, you can make critical adjustments that will help your business pull far ahead of your competition. In these ways, analytics will prepare your business for better operability, prove which solutions should be implemented across your enterprise, and tell you how well you’re succeeding in comparison to other industry leaders. If we were to enter a year with a down economy, how would your business be affected? Mining your data can answer that question. With analytics, you can collect information over years or even decades, then look at that data to identify what steps you can take to best prepare yourself and your company for any challenge. The first step is to correlate data trends with variables that are important to the scenarios you’re trying to predict. Looking at the state of the economy compared with information about your company’s best years of growth will help you isolate specific events that may have impacted those results. For example, you can look at what your asset utilization rates were during previous years of recession to improve resource deployment in the future, or even to mirror past successes. If the economy grows aggressively, instead—which seems likely—you can then look at how high your utilization rates grew during other periods of rapid expansion to strategize properly for growth. By observing these additional impacts in relation to your data, you can determine asset utilization rates, safety rates, maintenance rates, etc. to more accurately predict what could happen over the course of the fiscal year and how you can best prepare for it. What can you see within this data? Once you look at the trends you’ve established over time, you can identify the macro trends according to specific variables within your enterprise—such as region, customer type, time frame, or employee position. Next, identify regions or segments that are functioning better and isolate top performers to establish your Key Performance Indicators (KPIs). KPIs are used to assess whether you’re on target with specific organizational goals. Then, use analytics to figure out why they’re top performers so that you can prove which solutions have the best ROI. Let’s consider a scenario where you have 12 employees in the shipping department of Distribution Center 1. Of these employees, a few are operating with around 99% efficiency, whereas others are moving at around 50% efficiency. You have a similar setup with 10 employees in shipping at another facility, Distribution Center 2, who all work at around 90-99% efficiency with a similar number of orders. This confirms that any of your shipping centers can be at least as successful as Distribution Center 2. Set your KPIs accordingly with the high success rate of Distribution Center 2, then use analytics to compare time frames, customer impacts, regional variables, etc. to determine why your top performers succeed. Perhaps the reason that some employees aren’t efficient in Distribution Center 1 is because there isn’t enough work for all 12 employees. You can now reorganize accordingly. Maybe there is more of a given resource (an improved forklift model, for example) available in Distribution Center 2 that you should roll out in full to other centers to improve employee efficiency. With analytics, you can then quantify the ROI for rolling out either solution and make the best choice for your business. Analytics will help you see the rhyme or reason behind your various successes and failures so that you can adjust appropriately. Then, you can roll out improvements that utilize these same high-performing solutions throughout your operation and across the enterprise. Major players like Walmart and Home Depot have used analytics to great effect over the course of their lifetimes by mining data, establishing KPIs, and proving the ROI for their organizational solutions in this way. Now that you know how your operators, shifts, managers, and facilities compare to each other, you can also determine how they compare to your peers. Collecting general data about the successes of your competition allows you to establish industry-wide benchmarks as points of comparison. When you’re employing solutions that keep you competitive, you can confidently share them across your entire enterprise—therefore maximizing your results across the board. Understanding the importance of industry benchmarks is essential, because almost every executive I’ve consulted with on this topic has a skewed impression about how they stack up to their competition. Most believe that they’re operating as efficiently as possible, but oftentimes assume so without the data to back up the assumption. One large player in the intermodal containers space that I spoke with had this same issue with their utilization rate. This company had their rentable intermodal containers out on lease about 50% of the time. As a result, if they owned 20,000 intermodal containers, only 10,000 could be out on lease at any given time. Since they were using IoT devices to track their empty containers with multiple transportation management technologies, they assumed that these were excellent utilization rates. However, once their analytics database incorporated utilization rates from multiple competitors in their field, they were easily able to establish what percentile they truly occupied and make dramatic improvements. Almost everyone thinks they’re in the 99th percentile, but establishing benchmarks allow you to see beyond your own solutions to understand your overall position in the market. It’s also important to establish benchmarks between your company and your customers. Are certain customers easier to service? Are there fewer complaints with some customers? Are various customers more cost-effective? Do you lose time waiting for customers to return empty containers or trucks? These are the kinds of things that your analytics data can help you identify. Dive in and look at what the data is telling you on the most granular levels to get the most efficient results. Some executives that I speak with seem confused about the differences between Business Intelligence (BI) and analytics. Business Intelligence consists primarily of beautifully-presented dashboards and charts alongside actionable plans that are applicable in real-world situations. Analytics, on the other hand, focuses on applying and manipulating variables through data mining to best determine what those actionable solutions should be. These variables then allow you to predict different outcomes to strategize for the future. Business Intelligence is also important but focuses mainly on real-time applications, rather than trends over time. The major obstacle that prevents most executives from data mining is also what makes it so valuable: the sheer abundance of data is itself an obstacle. Because there is so much data collected daily, there must consequently be enough resources available to analyze it. One executive that I spoke with from Ford had massive quantities of data, but only one expert available to analyze it. This person’s time was so in demand that it would take years before the executive could have the analyst turn his attention toward the projects that the executive wanted to address. As a big player in the supply chain industry, he was aware that analytics was the key to success but simply didn’t have the expert’s time at his disposal. He knew that his data was golden but had no way to mine it. This is an almost universal problem for the executives that I speak with on the subject. I’ve written about the key to fixing this problem previously in my article, “More Data Than We Know What to Do With: Turn Around Your Data Utilization in 5 Steps” . It is essential to understand how important analytics will be for your business, then allocate the necessary resources to make it happen. The ROI is there, and it is worth it. If you want to achieve growth year-over-year, then you need to make changes year-over-year. Whether you’re thinking of starting a business in IoT, implementing a new IoT solution in your own company, or even looking to mine your data more efficiently, I strongly urge you to allocate resources to implement a solid data mining strategy for your company this year. Analytics will help you make your business more efficient, safer, and better than your peers. With it, you can truly move yourself into the 99th percentile of your industry—helping you get ahead and stay ahead of your competition. 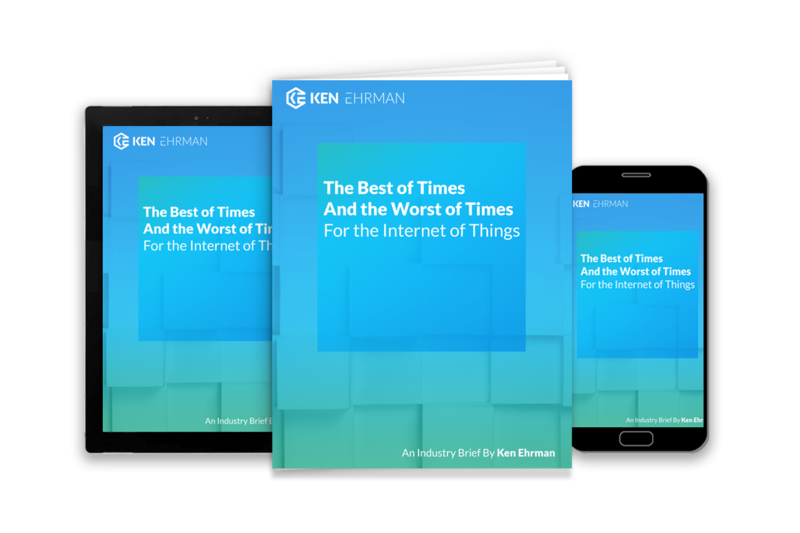 For help with best practices, identifying the trends most worth investigating, or advice regarding analytics and data-driven IoT solutions, you can contact me via [insert contact info]. With over 25 years of experience leading the industry in logistics, IoT, supply chain, transportation, and analytics capabilities, I can set you on the right track to achieve massive growth.